New Leaf Paper recently announced a major product innovation that significantly expands availability of high post-consumer recycled coated paper, used for high quality print projects. For the first time, companies with a commitment to environmental responsibility can choose a matte, gloss or silk coated paper that communicates their values through high post-consumer recycled fibre content. We caught up with New Leaf Paper’s Founder and President Jeff Mendelsohn about the news, but first a quick background. Reincarnation Matte, made with 60% post-consumer recycled content, has had the highest Post-consumer Waste (PCW) content of any coated paper since it was launched in 1998. New Leaf has announced the release of new Silk and Gloss finishes which are also made with 60% PCW content. There is a range of text and cover weights including a 150# single-ply cover. Reincarnation is FSC certified, Green-e certified and made in the United States. And New Leaf Paper provides customers with the option of a customized Eco-Audit of the savings from choosing recycled content over virgin fibre, such as the one below for University and College Designers Association Magazine. These full life-cycle environmental savings are calculated using the EPN’s Paper Calculator, based on research by Environmental Defense Fund and other members of the Paper Task Force. The Environmental Paper Network has been encouraging this type of product innovation for some years, and our State of the Paper Industry Report from 2011 shows a dramatic increase in environmentally superior paper products on the market over that time. New Leaf’s Reincarnation line of papers achieves the highest designation on the Environmental Paper Network’s Paper Steps, and therefore appears as a leader among an elite class on the Eco Paper Database. 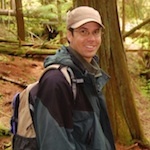 Jeff Mendelsohn is Founder and President of New Leaf Paper and a pioneer of environmentally superior paper product development. I asked him a couple questions about their newest product, and his enthusiasm for this paper sheet was strong and sincere. Joshua: So, Jeff, what’s in your paper? What’s this paper’s story? Jeff: Reincarnation has had the highest post-consumer content on the market since we launched the product in 1998. By choosing our papers, our customers make a lasting positive impact, far beyond their own paper usage. The success of Reincarnation in the market has inspired other paper companies to increase the post-consumer recycled content in their product lines. Joshua: Why is the availability of Reincarnation Silk and Gloss good news for publishers and others looking for responsibly made papers? Jeff: The addition of silk and gloss finishes is a huge win for the environment because these finishes make up the majority of demand for coated paper. Gloss and silk finishes make up over 80% of the market for coated paper. With the new finishes of Reincarnation, many more companies can achieve environmental leadership by their paper choices.